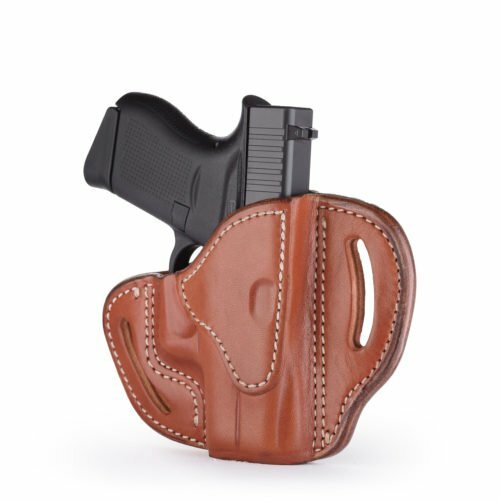 Our Belt Holster Thumb Break (BHT4) is designed to accommodate several firearms and positioned to allow a quick reaction using four different ways to carry on your belt (OWB: vertical, horizontal, cross-drawn IWB: Conceal Carry clip). 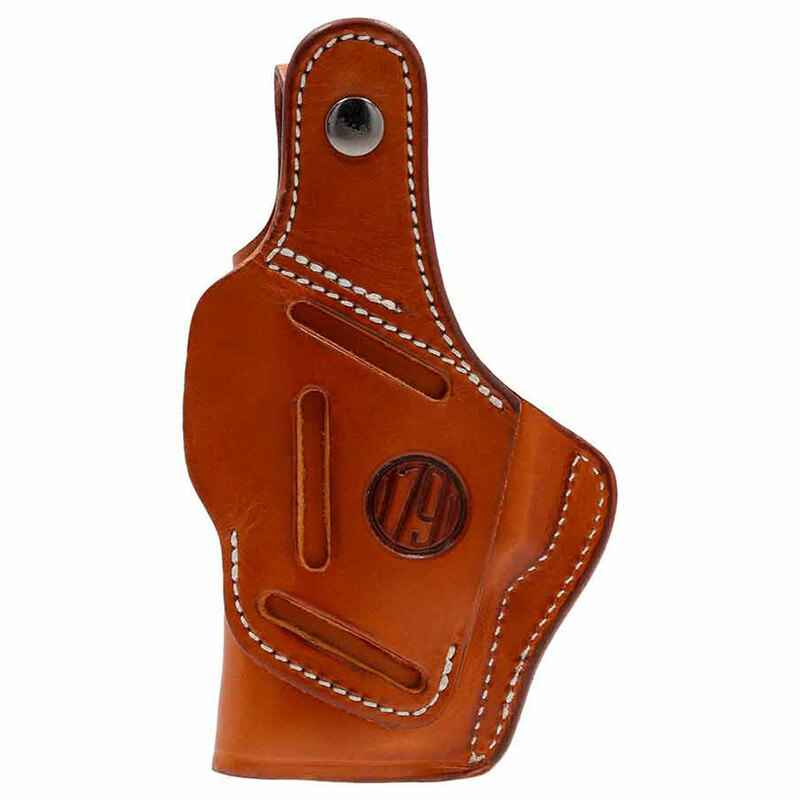 Composed of two-piece construction, the BHT is molded and contoured for your pistol, yet is comfortable against the body due to the handcrafted premium 100% Certified American, Heavy Native Steerhide leather. 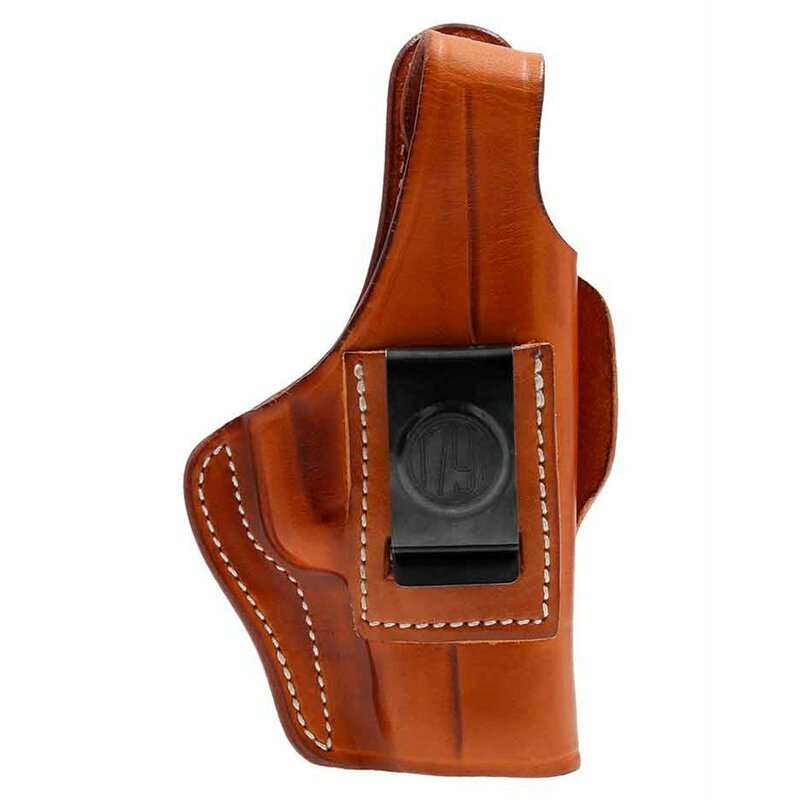 This holsters interior is hand-finished to help protect the bluing of your pistol and includes a beveled clip that’s strong enough to clip inside your waistband for comfortable concealment. 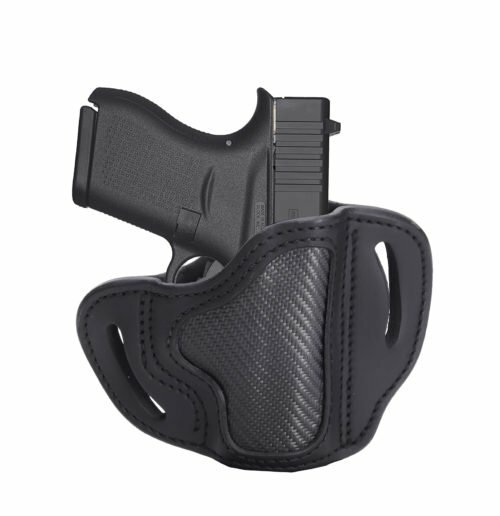 Great holster. 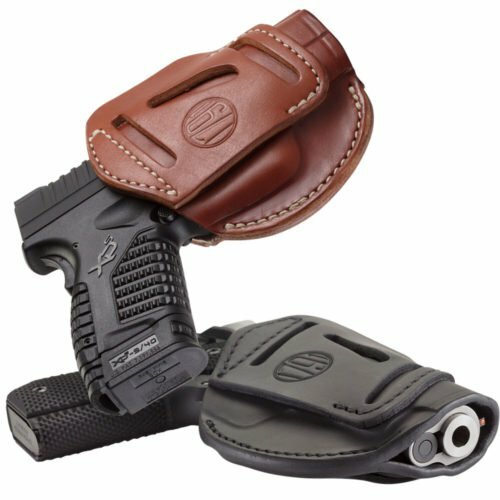 Great fit and quality!